This site will enable you to find out about our vibrant community and understand the role and responsibilities of the Parish Council. We are very much part of the community and we hope our website reflects this, with all the news and information you might need about your village as well as your Parish Council. There is a webpage notifying the dates of our meetings and agendas and minutes are also available to view. There is a useful Which Council Does What page which should help to direct you to the right place for your queries or concerns. If you have any comments or useful information, we would be delighted to hear from you. The Parish Council welcomes all your questions, comments and suggestions. The annual Parish Assembly takes place on Monday 15th April from 7pm at Alrewas Village Hall. Find out more about your village, with short presentations about Parish and District council activities, and latest news from various community groups . Click Here to download the agenda for the meeting. Parish Council elections will be held on 2nd May 2019. Are you concerned about speeding vehicles in Alrewas? If yes then why not join the 300+ Community Speed Watch volunteers helping the Police raise awareness around road safety throughout Staffordshire. The monthly Parish Council meetings are held in the Village Hall, Wellfield Road, Alrewas, usually on the second Monday in the month. All members of the local community are encouraged to attend. The Public Participation item permits members of the public to make representations, answer questions and give evidence in respect of any item of business included on the Agenda (unless the item has been identified as a matter to be discussed in confidence). Any member of the public wishing to speak during the Public Participation session must notify the Clerk in advance of the meeting and is entitled to speak once only for not more than 2 minutes. The total time allocated to the Public Participation session shall not exceed 15 minutes. Alternatively matters can be drawn to the attention of Councillors from 7pm prior to the start of the meeting. For further information contact the Clerk. For information on Planning Applications, please visit the Lichfield District Council website. Alrewas is one of the oldest recorded communities in the Midlands with records of habitation dating back to the Iron Age. On this website you will find a brief history of the village and some archive maps showing how the village looked in the past. There is also a Village Directory listing local community groups, businesses and amenities. 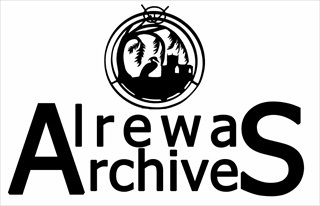 To find out more about the history of our village, visit the Alrewas Archives website. On this site you will find the latest items of interest from the Parish Council as well as a weekly village newsletter, and a downloadable version of the Parish Newsletter delivered each year to every household in the parish.